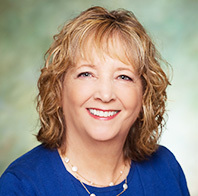 Ellen Langell, working through Summit Settlements, has more than 25 years of claims experience, including 6 years of negotiating Structured Settlements for workers with catastrophic injuries at a California Workers’ Compensation insurance carrier. Since 2009, she has devoted her time to advising California Applicant Attorneys regarding annuity settlements for their clients. Ms. Langell’s carrier experience provides her with unique insight and responsibility for setting case reserves on longstanding catastrophic injury cases. As a result, she has developed a keen insight into the effect of the aging process on significantly disabled persons, as well as associated medical expenses that can ensue over time. Ms. Langell has developed a complete and thorough understanding of settlement valuation, and a talent for developing case-specific and appropriate payout schedules which ensure that future medical needs are fully met. Ms. Langell is expert in all aspects of California Workers’ Compensation, including subrogation and the Medicare Secondary Payer Program (MSP). In addition, she has recently attained status as a Certified Medicare Secondary Payer Professional (CMSP), a new designation that requires a more robust understanding of MSP history, policy and procedures. As a leader in the Structured Settlements industry, Ms. Langell has earned the respect of Applicant and Defense attorneys. She is available to provide direct assistance to clients and attorneys and will attend court hearings, mediations and other settlement negotiations. Ms. Langell earned her Bachelor of Arts degree in History from Sonoma State University, graduating with honors and distinction. She is an active member of National Structured Settlement Trade Association (NSSTA), the California Applicant Attorney Association (CAAA), and the National Alliance of Medicare Set-Aside Professionals (NAMSP), and holds an insurance license in Life-Only, Accident and Health (CA #0G57649). Langell Settlement Consulting works with Summit Structured Settlements (www.summitsettlements.com) to provide access to the life insurance companies that are committed to offering structured settlements to the injured person. When the case nears final settlement, we compare all the companies to get the client the best possible outcome using the available settlement funds.